Come April 1, many Aldine residents won’t know where to go to relax in a good conversation with friends or to have their hair cut just right. 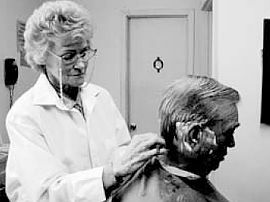 After 46 years as a barber, 28 of those at the corner of Crieffe and Lauder, Dorothy Smallwood is retiring on March 31. Dotcha Barbershop is a community cornerstone, the type that is quickly fading into the past. “It’s more than a barbershop. It’s like a community place where everyone can get together and talk,” explained longtime customer Cecil King. Like many of Smallwood’s clients, King, his adult children, and his grandchildren all get their haircuts at Dotcha’s. Smallwood’s customers sit in antique barbershop chairs while getting their haircut, and many stay in the shop afterwards chatting with the other clients or helping Smallwood work a puzzle. And family is what got Smallwood interested in cutting hair all those years ago. Both of her parents were barbers back before there were barber’s colleges and licences. Her brother is also a barber and Smallwood worked in a shop with him for a few years. She also has two children who are hairdressers. Smallwood said that what she enjoyed most about her business is visiting with all of her customers. “There’s a different person every day. We all have our stories,” she said. Smallwood first opened Dotcha’s Barbershop, a name created by blending her nickname, “Dot” and her late husband’s name, Charles , on April 4, 1977. When Smallwood celebrated her 23rd year at this location, a customer recommended her for the recognition from the governer. A certificate naming Smallwood as a Community Advisor proudly hangs on her wall. As for her retirement, Smallwood doesn’t have much planned other than relaxation. She plans to sleep in a day or two and travel to visit family. State Representative Kevin Bailey continues his fight to improve the quality of life in North Houston by authoring legislation that will allow for the creation of a new district in the Airline Corridor. 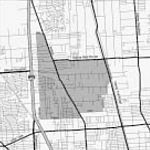 Surrounded by the City of Houston, but outside its corporate limits, the area, like many in unincorporated portions of North Houston, has experienced economic decline and social change. Both occurrences have combined to create public needs that state law does not empower county governments to serve. Because the area has a low tax base and deteriorating infrastructure, the City of Houston is not likely to annex it. The proposed legislation would create a local, community-led, special district to focus on the health, safety and general welfare of the residents, employers, employees and consumers in the unincorporated areas of the 77037 zip code. Their neighbors to the north in Greenspoint and to the east in Aldine have benefitted from special districts in recent years. These districts supplement but do not replace county services. A board of directors made up of long time area business owners and residents has been named in the legislation. They will establish the priorities for the district once it is created and then oversee the implementation of a process to begin needed improvements in a variety of areas. A $3.8 million grant awarded to Rice University by the National Science Foundation will fund a Mathematics Leadership Institute (MLI) to improve math instruction in Aldine ISD schools. The MLI is a collaboration among the Rice University School Mathematics Projects, Rice’s departments of Computational and Applied Mathematics and Statistics and Aldine ISD. Teachers from Aldine ISD’s high school mathematics departments will be selected to become a part of the program where they will receive training in math instruction and development of leadership skills at Rice. The teachers will be charged with improving math instruction at their respective schools for a five-year period and will serve as mentors to fellow teachers. A second cohort of teachers from each high school will be selected in 2007 to join the program to enhance the collaborative partnership in each school. “We want to provide resources for teachers to better motivate and inspire their students to want to study mathematics and to be successful at doing so,” said Anne Papakonstantinou, co-principal investigator and project director for the grant. The lead teachers will attend a four-week MLI Summer Leadership Institute at Rice for two summers to improve their math knowledge, teaching and understanding of current research in math education and to develop their leadership and adult-education. HOUSTON – NFL all-pro corner-back Aaron Glenn, presented a check for $15,000 Wednesday to the Aldine Scholarship Foundation. The donation will form an endowment to generate college scholarships for students for many years to come. 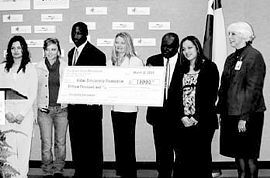 The $15,000 donation establishes an Aaron Glenn endowment and each year several $1000 one-year scholarships will be awarded to graduating AISD seniors in the name of the Houston Texan. The Aldine ISD Scholarship Foundation has partnered with the North Harris Montgomery College Community College District (NHMCCD). Students can use the scholarship funds to attend any college in the NHMCCD, including North Harris College, Kingwood College, Tomhall College, Montgomery College, five satellite centers and the University Center. “I am elated to have the opportunity to give back to my school district, which gave so much to me during my time of developing,” said Glenn, who three years ago created The Aaron Clenn Foundation to support education and youth initiative. HOUSTON  Police reported that four North Forest 10th grade students were involved in a one car accident last Thursday morning, that resulted in the death of one of them. Officers C. J. Mangano and M. W. Gartman of the HPD Traffic Division reported that a 2001 Ford Taurus was traveling northbound on US59, Eastex Freeway, at a high rate of speed. Conditions were wet and raining, it was reported. The driver lost control and struck a large light pole. One of the passengers was pronounced dead at the scene. The driver and the other two passengers were transported to area hospitals. The Harris County Medical Examiner’s officer reported that the identity of the deceased student was Cedric Grimble, age 16. No information was available on the other occupants of the car. North Forest ISD public information officer Jacque Tolbert told the Northeast News that the four were 10th grade students at Forest Brook High School. The district provided grief counselors on Thursday and Friday, as word of the death and accident became known to the classmates. At press time, there was no word of funeral or memorial arrangements. The HCME’s office was still at work on Friday determing the cause of death, and had not released the body. GREENSPOINT  Partnerships and community spirit were recognized recently at the Greater Greenspoint District’s 13th annual Volunteer Appreciation Reception. Since 1992, the event has honored individuals and organizations who have contributed time and effort towards the betterment of the Greenspoint community. The most distinguished awards of the evening were presented to the Harris County Toll Road Authority (HCTRA), represented by Anita Stevens, as Partner of the Year; Volunteer of the Year recipient Kelly McNeill of Hines; Company of the Year recipient Wyndham Greenspoint Hotel; and a special achievement award was extended to Gary Montgomery of Montgomery & Associates. The Harris County Toll Road Authority was acknowledged as an outstanding partner for contributing to the District’s “Clean and Green” area maintenance program by saving trees that could have been destroyed by road construction. HCTRA’s focus on keeping Greenspoint well-connected without sacrificing 125 trees earned them the Partner of the Year award. ALDINE  Community leaders, organizations, residents and businesses have organized to petition METRO not to eliminate the Route #54 bus line, that serves a large part of the population of the Aldine area. The petition drive has been organized by Ricci Sanchez, director of the Harris County Aldine Health Center. She has been joined by many community leaders, including Shirley Reed of ACT, William Townsend of North Houston Bank, Clyde Bailey of Aldine Improvement District, Nadine Kujawa of the Aldine ISD, and Marilyn Bayless of the North Houston Greenspoint Chamber. Sanchez said that if the #54 route were eliminated, it would affect 28% of the health center’s patients. If they are forced to take other routes, travel time might be 2 hours, and in some cases their would not be an alternative route. HOUSTON  Cowboys and cowgirls of all types were ready to start “rodeoing” this week, as Houston Livestock and Rodeo opens on March 1st. Festivities actually started last weekend, with the annual BBQ cook-off, and the Rodeo parade through downtown. Participants in the parade included the trailriders that have been coming in to Memorial Park last week. Also underway daily is the extensive Carnival and midway next to the venue, which is Reliant Stadium. marching bands, trail riders and others strutted their stuff down the streets of downtown Houston. While the Top Hands Horse Show competitors finished their heart-warming events in the dry confines of Reliant Arena, the World’s Championship Bar-B-Que Contest was smoking away and drawing meat-hungry folks from all around. Go Texan contests concluded withthe quilt contest winners and team penning competitors declared. The quilts will be displayed in Reliant Center March 1 through March 20. With the conclusion of the opening weekend activities, the fun has only just begun. Brooks & Dunn will help open RODEO-HOUSTON this Tuesday, March 1, and there are still loge and upper level seats available! 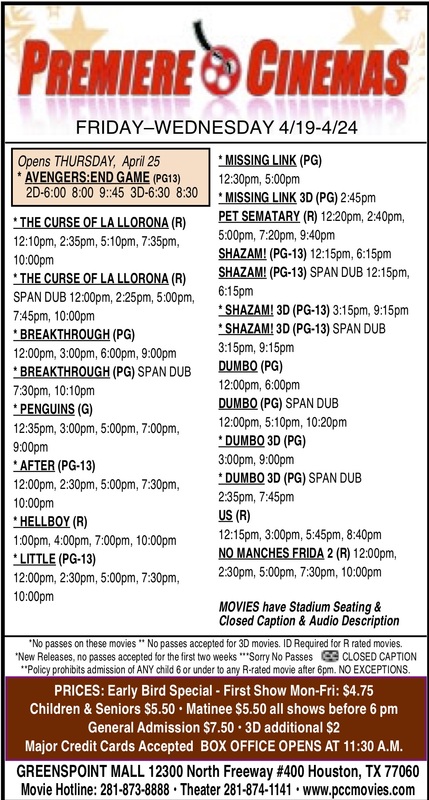 In fact, there are still tickets available to every Show! So, round up the troops, sound the bugle and get ready to march right into Reliant Park to join in the fun of Houston’s most celebrated event  the Houston Livestock Show and Rodeo!